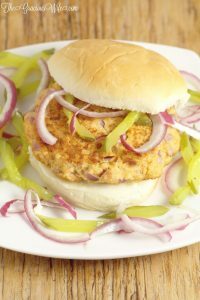 This easy Salmon Burgers recipe is a delicious burger made with salmon fillets and hints of lemon, dill, and mustard, topped with a simple pickle and red onion relish. Summer (aka Burger Season) is already almost over! I can’t believe the kids will be starting school this month! We’ve had our fair share of burgers this summer and I wanted to switch it up with a new burger and a simple recipe. This Salmon Burgers recipe is surprisingly easy to make. You can grill them, but I just cooked them up in a skillet and it took no time at all. 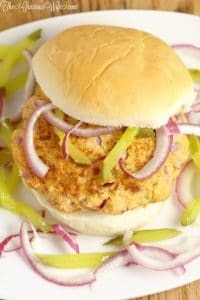 This salmon burgers recipe is a big hit with everyone in our family, even though our kids are not particularly fond of fish. They eat these and ask for seconds, so it’s a great way to get more fish into a picky eater’s diet. 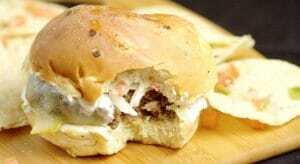 I must also say that this easy salmon burgers recipe is made even more amazing by the simple relish topping. Oh. My. Goodness. My salmon burger was loaded with the pickle and red onion relish and I just couldn’t get enough. 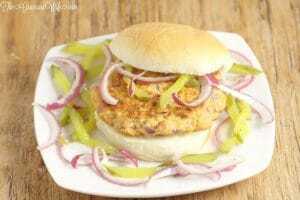 Easy Salmon Burgers recipe includes a delicious burger made with salmon fillets and hints of lemon, dill, and mustard, topped with a simple pickle and red onion relish. In a large mixing bowl, combine salmon and red onion. Toss to combine. In a separate mixing bowl, whisk together eggs, Dijon mustard, mayo, lemon juice, and hot sauce. Add egg mixture to salmon mixture and stir to incorporate. Form mixture into 8-10 patties. Heat a skillet over medium heat. Cook each patty for about 3-5 minutes on each side, or until cooked through. In a small bowl, add pickles and red onions and toss to combine. 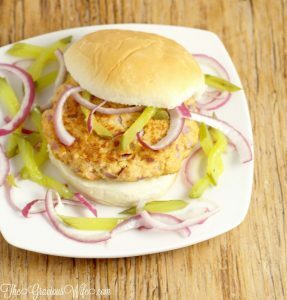 Serve each salmon burger on a bun with mayo and topped with pickle onion relish. 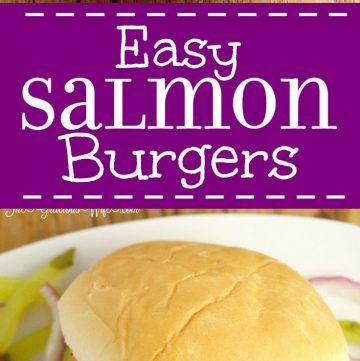 Did you like this Salmon Burgers recipe? 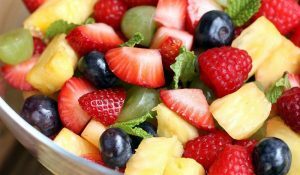 Find more on my Dinner Ideas and Salads & Sides boards on Pinterest! Sounds delicious! 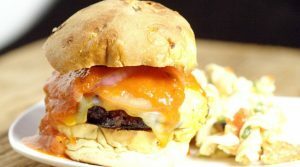 I will definetly try that for my next burger party! Love this! Salmon is my favorite fish. Thanks so much for sharing at Thursday Favorite Things!